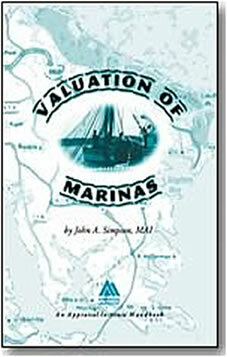 Let’s summarize what you need to look for in a marina appraisal to determine if you’ve been sold a “bill of goods”. The fee for this special purpose property is cheap, like $2,500, $3,000 or $3,500. The number of pages in the market section is far greater than the total number of pages devoted to the part you want to read, the valuation. It’s a down market (recession) and there is little or no discussion about marina sales and little or no discussion about listings. It’s an up market and the sales presented reflect different market tiers, are far different in size/scale, and in total sale price. The sales are “verified” yet there’s no discussion in the comparables that indicates that the appraiser really verified the sale since some information specific to the marina would have been communicated… and it should have been reported. With no sales comparison, a cost approach was used along with an income approach instead of just an income approach. The number of expenses shown in the income approach are similar in number to what you’d expect from triple-net, investment grade real estate. 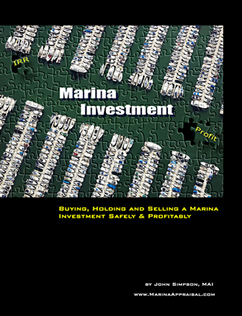 Marinas are operating businesses, which are a whole different animal than investment grade real estate. The operating expense ratio reflects what you’d see with new investment grade real estate. Payroll and other expenses are simply missing, so the operating expense ratio reflects it. The cap rate is derived by the mortgage equity technique or the band of investment. In a down market, there is no financing, so attempts to use mathematical models to simulate what bank lending terms on are just absurd and completely misleading. There are no cap rate sales in the report, no asking cap rates from listings, and no survey of marina investors was done. To put it succinctly, there is no market support whatsoever for the critical cap rate. We all play with the cards in our hands. Hopefully you didn’t get aces and eights. At least this series has stacked the deck and dealt you the cards. How you play them is up to you.